Northridge East Neighborhood Council urges the extension of the City’s DASH bus route to serve the CSUN Transit Station located on Vincennes Street just east of Darby Avenue. Let’s make it easier for CSUN commuters to park their cars elsewhere other than in Northridge! Currently the closest stop is Nordhoff Street and Reseda Boulevard. See route map posted below. YOU CAN HELP SUPPORT OUR EFFORTS! You may also attend one of the other public hearings being held throughout Los Angeles and submit comments by email, telephone, or online (see below for all the details from LADOT Transit). LADOT Transit will be conducting public hearings to discuss the initial recommendations from the Study Team. See the Public Meeting Dates and Locations section below. WHAT IS THE LADOT TRANSIT SERVICE ANALYSIS? The City of Los Angeles Department of Transportation (LADOT)’s Transit Service Analysis is a thorough line by line analysis designed to shape the future of Commuter Express, DASH and Cityride Services. Review LADOT’s Cityride Program to examine service options, methods to make the van and taxi services more productive, and identify new approaches to delivering these services. WHY IS THE LADOT TRANSIT SERVICE ANALYSIS NEEDED? Los Angeles is an ever-changing city. Its population is one of the most diverse of any city in the US and the transportation needs of its residents are just as diverse. The LADOT Transit Services Analysis took into consideration changes around Los Angeles such as new residential pockets and new employment growth in opportunity areas as well as the public input received to date. expand the network of bus services. Optimize Resources: Insure that LADOT Transit is providing the right types and levels of service and at the most reasonable prices for riders and taxpayers. Complement Other Transportation Initiatives: LADOT Transit’s future plans are tied to the expansive commitments made by the City of Los Angeles to projects like bicycle lanes, the Great Streets Program to support neighborhood growth and the Mayor’s Initiative to use data to improve all city services. LADOT Transit still wants your participation! Participate in the Public Hearings: Public hearings will be held throughout the CIty in the latter part of August. Dates, times and locations are detailed below as well as in the media and on the bus. Other Opportunities: Provide us with feedback through September 9, 2016 by going to ladottransit.com/movingforwardtogether and providing us with your comments. Use the dedicated telephone line at 213-995-4545 to leave us your comments. Use social media to contact us anytime – we’re on Twitter @ladottransit or facebook.com/ladottransit. You may also email us your ideas at ideas@ladottransit.com. The Study Team has completed the analysis and submitted its initial recommendations. These recommendations will be presented to the public in a series of eight public hearings. For details of upcoming public meetings, watch this website. 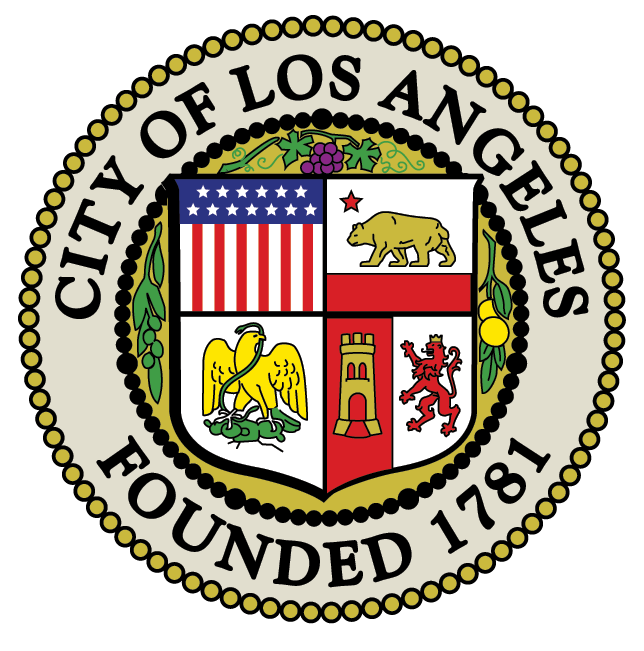 What is LADOT Transit’s Moving Forward…Together project? A thorough transit service analysis designed to shape the future of LADOT Transit’s Commuter Express, DASH, and Cityride services. The study that will provide recommendations that improve existing LADOT transit services and also address unmet transit needs. To meet the growing demand for transit by optimizing resources, and collaborating with other transportation initiatives. How can I get more information about the study? How can I participate in the study and provide recommendations for new and existing services? Public hearings: Attend public hearings to hear the Study Team’s initial recommendations, ask questions, and provide comment or input. Website: Project updates, reports, and opportunities for feedback can be found at this website. Translation is available via Google Translate. Mail: 201 N. Los Angeles St., Space 16, Los Angeles, CA 90012. Email blasts: You can sign-up to receive updates via e-mail at our email signup page. Call-in portal: You can also submit opinions, comments, and suggestions to the LADOT Transit call-in portal: 213-995-4545. Callers can leave their feedback about the initial recommendations using one of 11 languages. Why is it important to participate in this study? Receiving input from the public is crucial to improving transit service in the City of Los Angeles. LADOT wants to hear from its riders and members of the community to better understand their mobility needs. Public input will help shape the changes recommended in the Transit Service Analysis. Participating will also help you stay current on key project updates and recommendations. Will every area in the City have DASH service? LADOT uses its resources to meet the mobility needs of those who live, work and visit the city. Those services are regularly evaluated using City standards for performance. Over the past 20 years, LADOT has introduced a number of new services and is recommending new routes as part of this analysis.